The U.S. Preventive Services Task Force has reaffirmed its 2009 recommendation. The U.S. Preventive Services Task Force has reaffirmed its 2009 recommendation that all pregnant women should be tested for hepatitis B virus (HBV) at their first prenatal medical visit in order to open the door for efforts to prevent transmission of the virus to their babies, MedPage Today reports. The task force has issued a draft recommendation statement on its website regarding the reaffirmation of this recommendation. This draft is open to public comment through February 4. The recommendation retains the A grade—meaning it is based on high certainty—it first received in 1996 and again in 2009. Children who contract HBV primarily do so from their mothers. Those who are exposed to the virus during infancy or childhood are more likely to develop a chronic infection than those who are exposed during adulthood. The proportion of pregnant women who have the virus has increased by 5.5 percent since 1998. 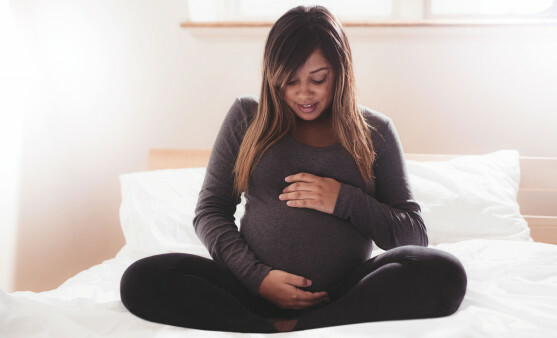 There were substantial benefits to screening for hep B among pregnant women, the task force found, as well as “adequate” evidence that testing for the virus is accurate—it has a lower than 2 percent false negative as well as a lower than 2 percent false positive rate. “Adequate” evidence supported the finding that vaccinating against HBV and providing post-exposure prophylaxis with hepatitis B immune globulin at birth to virus-exposed babies substantially reduces the risk that infants will contract hep B. As for potential harms, screening for HBV was associated with “no greater than small” harms (based on “limited” evidence) thanks to the high level of accuracy of the tests as well as the low likelihood that any preventive measure would lead to harms. To read the MedPage Today article, click here. To read the draft recommendation statement, click here.